CALABAR RESIDENTS ARE YOU READY??? SPOT THEM AND STAND THE CHANCE OF WINNING A BASKET OF GOODIES FROM MORNING FRESH!! 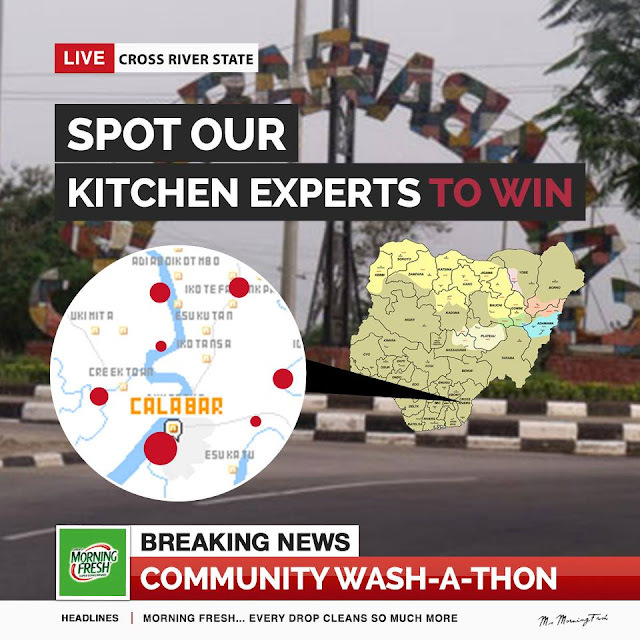 Or a picture of the wash-a-thon event wherever it’s happening with you and any ‘Kitchen Expert’. Upload any of these two pictures in one post with the#MFWashaton15, either on Facebook or Twitter or on both platforms. The winner of the giveaway is dependent on the most likes (FB) and retweets (twitter) derived from the post uploaded on either platform.